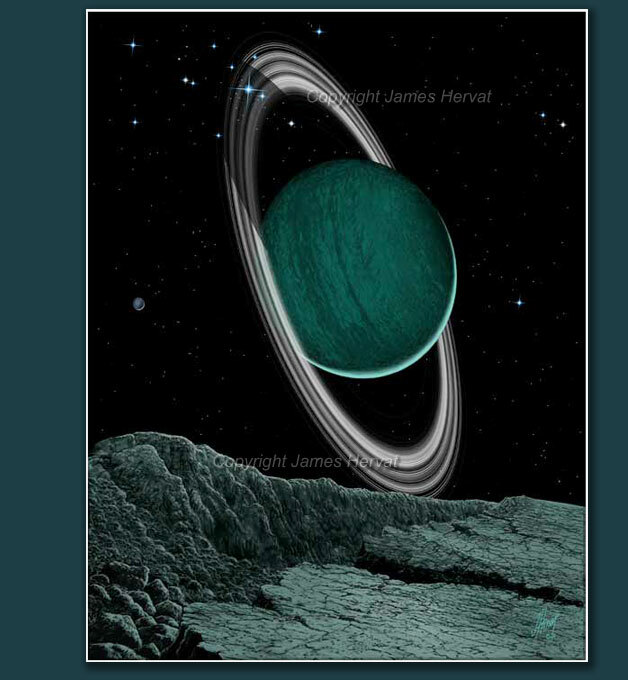 Ringed Giant by James Hervat - An imaginary planet adorned with rings, casts a soft glow on one of its attendant satellites. Ringed Giant (2009) - Rings are now known to encircle all four of the Gas Giant planets that reside at the outer reaches of our solar system. The clear implication is that planetary ring systems are commonplace--if not almost inevitable--adornments to the countless large worlds strewn throughout our galaxy and others.